Being the executor of an estate can be a monumental task. 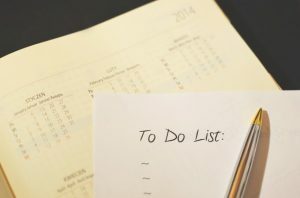 Having an executor checklist to guide you can help streamline the process of handling the complexities of estate management. 1. Figure out if you need probate. 2. Determine if you need a lawyer. 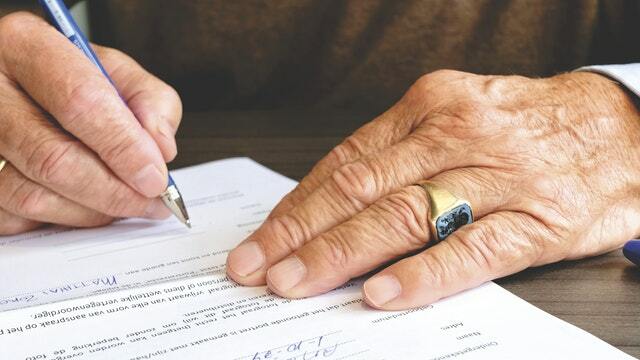 In many cases, the executor doesn’t require the services of a lawyer, and this is especially true when the executor is the primary beneficiary and anticipates few complications. A lawyer can be useful to those executors who manage an estate with inheritors in disagreement over the estate, an estate that has complex finance and tax situations, and an estate with several types of property. One of the ways a lawyer can help is by explaining complex legal situations. They can offer professional advice as needed. Other executors choose to hire a lawyer to handle the entire estate, including paying for legal services out of the estate. 3. Obtain help without hiring a lawyer. If you choose not to hire a lawyer, you still have options for help. Oftentimes, probate court clerks will answer questions about court procedure. They are prohibited, however, from providing specific legal advice on your particular case. Some courts do have staff lawyers that will look over documents and determine whether they have errors that need to be remedied. And finally, there are several books on handling the responsibility of an executor. We recommend The Executor’s Guide: Settling a Loved One’s Estate or Trust by Mary Randolph, J. D.
4. File the will and notify beneficiaries and other important parties. An important part of filing the will in probate court is that you will be recognized as the personal representative. Then, you will need to send notice to named beneficiaries and to surviving spouse and children, who would generally been entitled property had there been no will. 5. Find and manage assets. Because probate often takes at least a year, it’s important for the executor to locate and responsibly manage the deceased person’s assets. This may require selling real estate or securities because of the constraints of the will or the financial circumstances of the estate. 6. Take care of day-to-day minutiae. As the executor, you inform government agencies, such as the social security administration, department of veteran affairs, medicare, etc. of the death. You will also need to perform tasks such as terminating leases, informing banks of the death, and settling current contracts of the deceased. 7. Set up an estate bank account. Use this account to collect and make payments on behalf of the estate. This can include rents, paychecks, stock dividends, etc. 8. Pay taxes and other expenses. The executor is responsible for filing/paying income tax for the year the deceased person has died. Sometimes estate taxes may need to be paid. In addition, the executor should see to it that mortgages, utilities, and insurance premiums are paid. 9. Notify creditors and pay debts. First, if there are any debts that the estate is legally required to pay, pay those. Secondly, you will need to notify creditors of the probate proceeding. States set rules for how to notify creditors. Then, the creditors have a certain amount of time (often 4-6 months) to file a claim for payment for debts. You will have to determine whether or not the claim is legitimate. As the executor, you will oversee the distribution of property—real estate, personal belongings, cash, etc.—to the parties named in the will. Formally closing the estate is the final step on the executor checklist. This occurs after all debts and taxes are paid and all assets are distributed. We hope that this guide is useful. If you need more in-depth financial advice concerning an estate, please let the experienced team at Blisk Financial Group help you today.